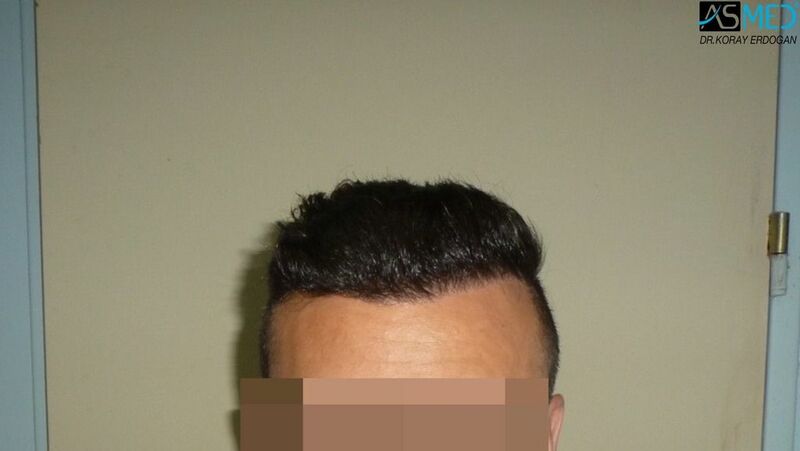 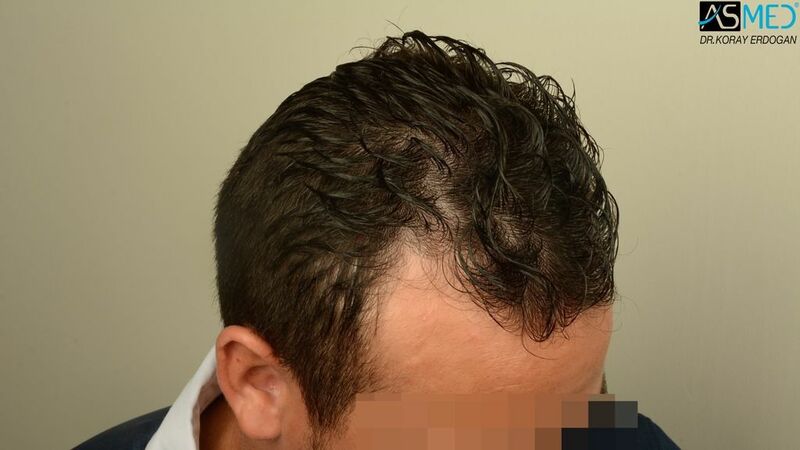 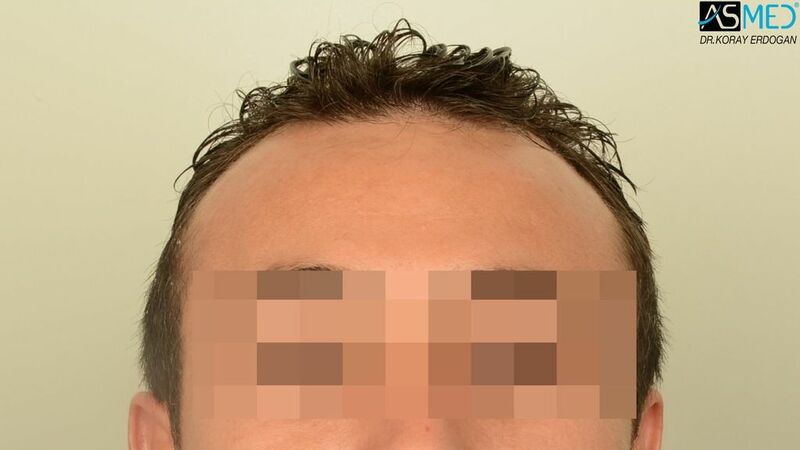 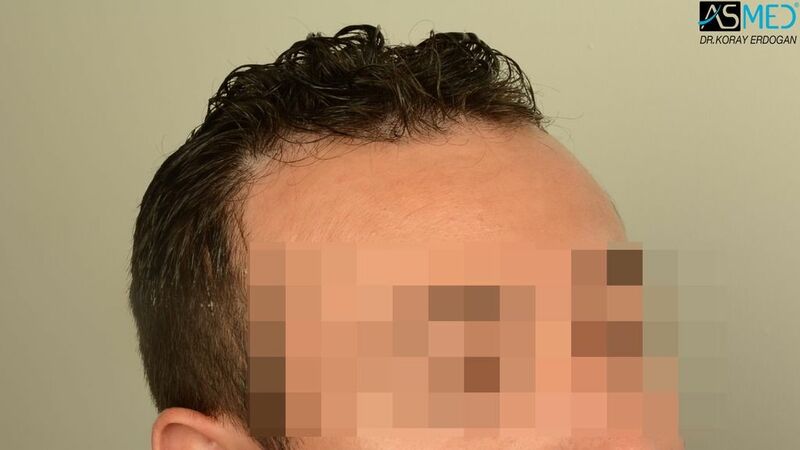 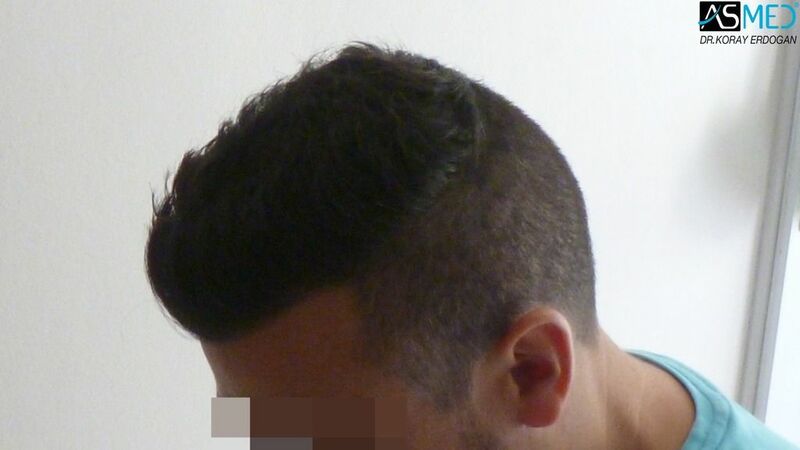 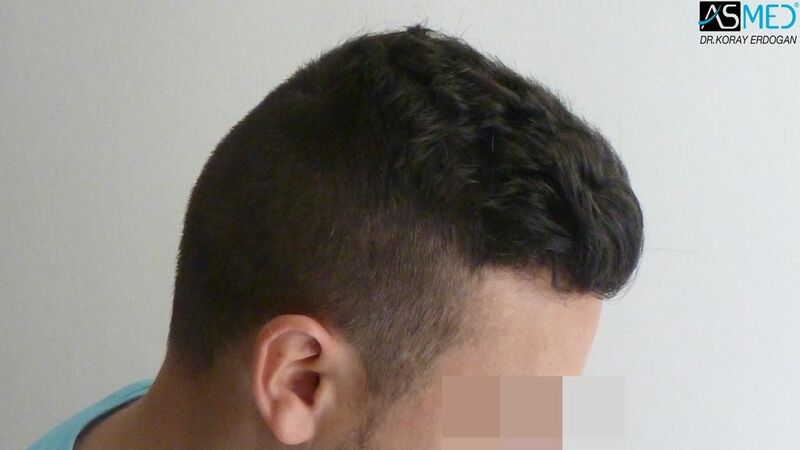 - OPERATION DETAILS: 3023 grafts FUE extracted by manual punch, diameter 0.7 - 0.8 mm. 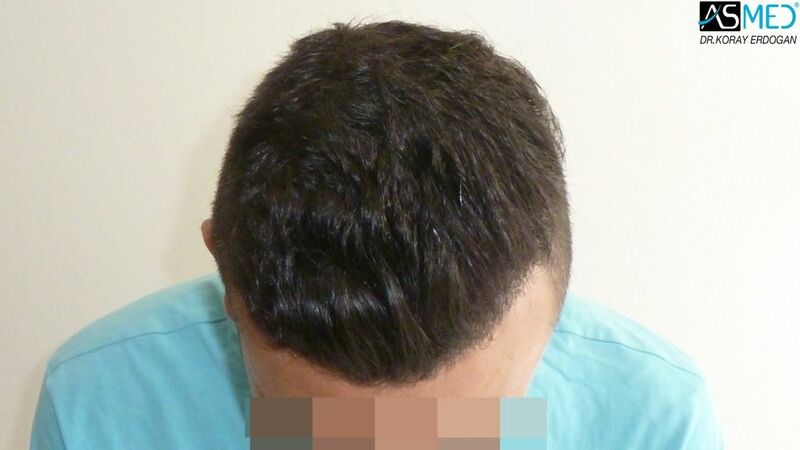 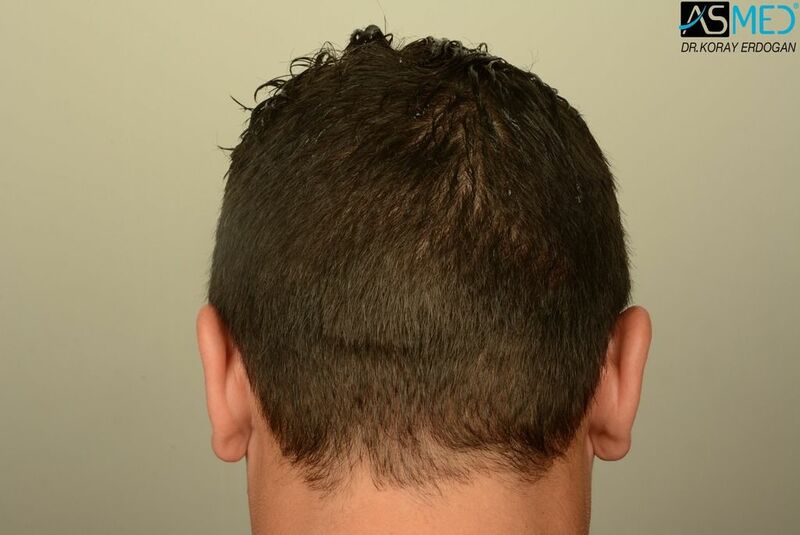 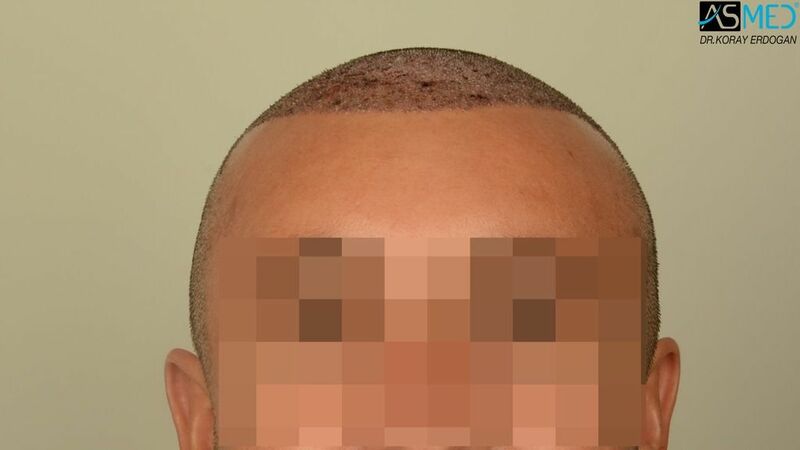 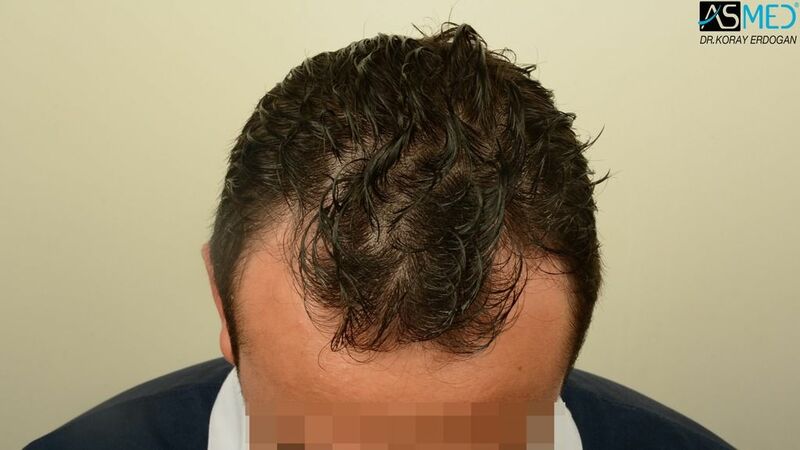 - GRAFTS DISTRIBUTION: 3023 grafts were used to restore the patient’s frontal area. 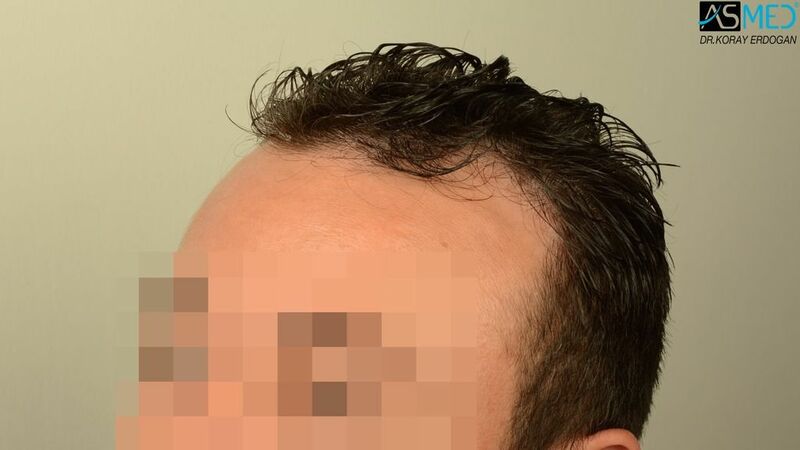 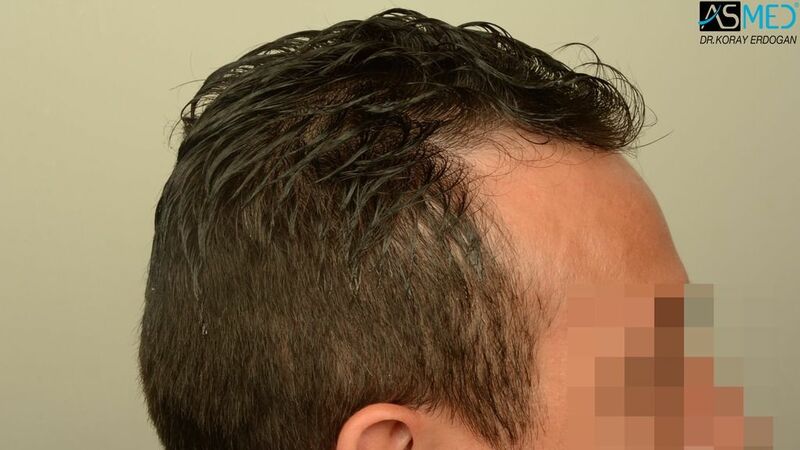 With FUE hair transplant gaining popularity in Turkey, there are many clinics to choose from. 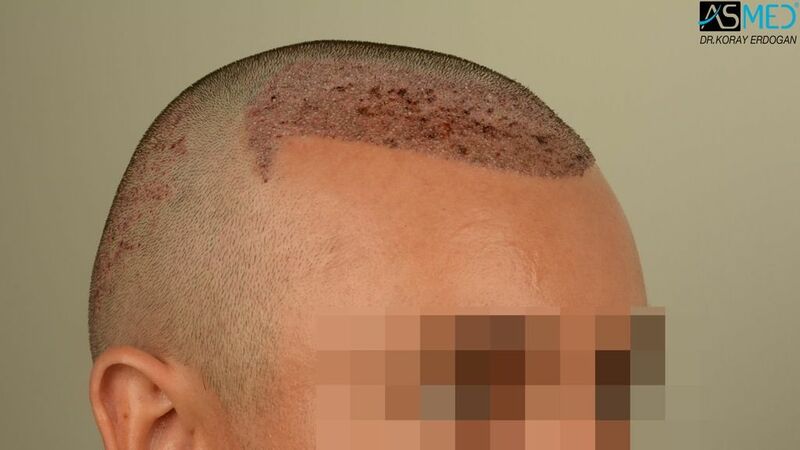 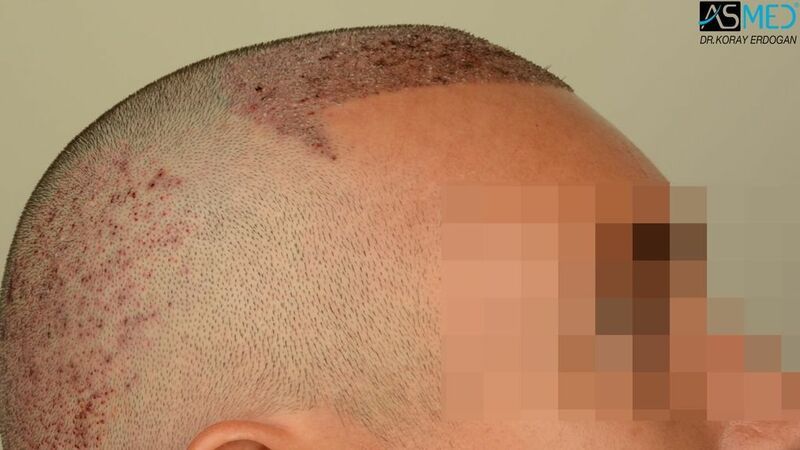 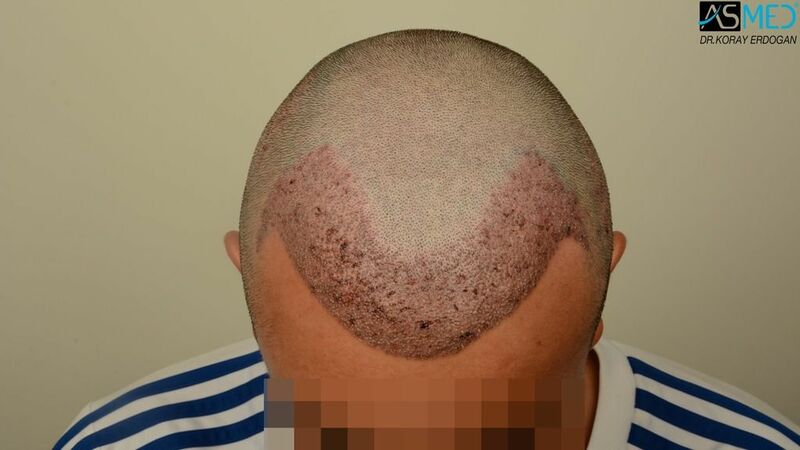 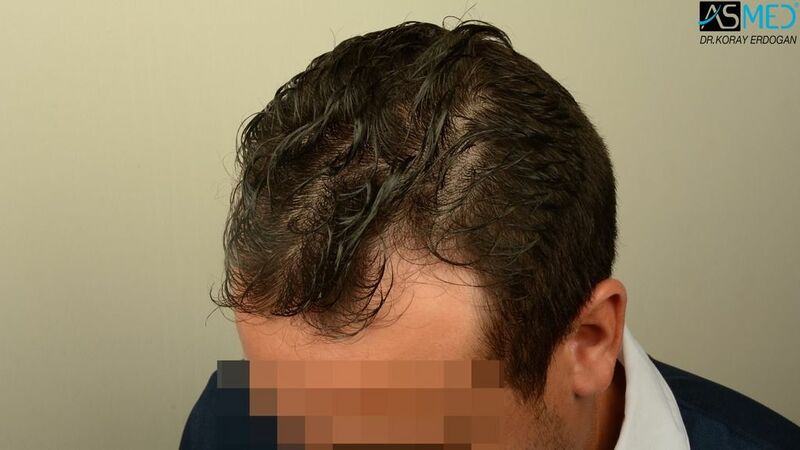 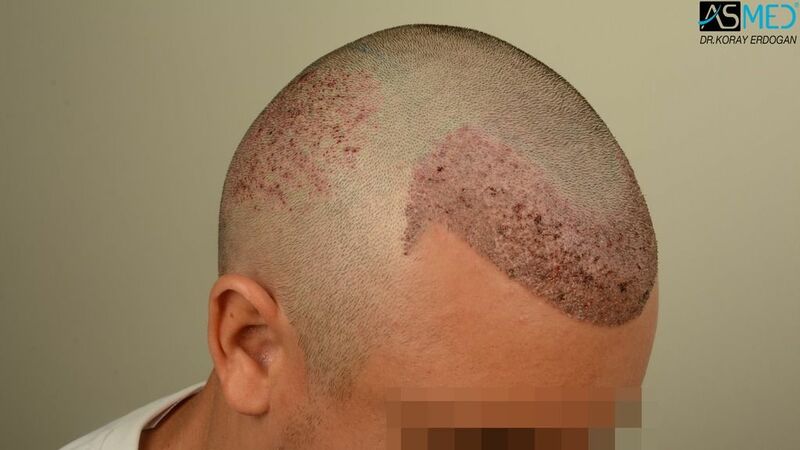 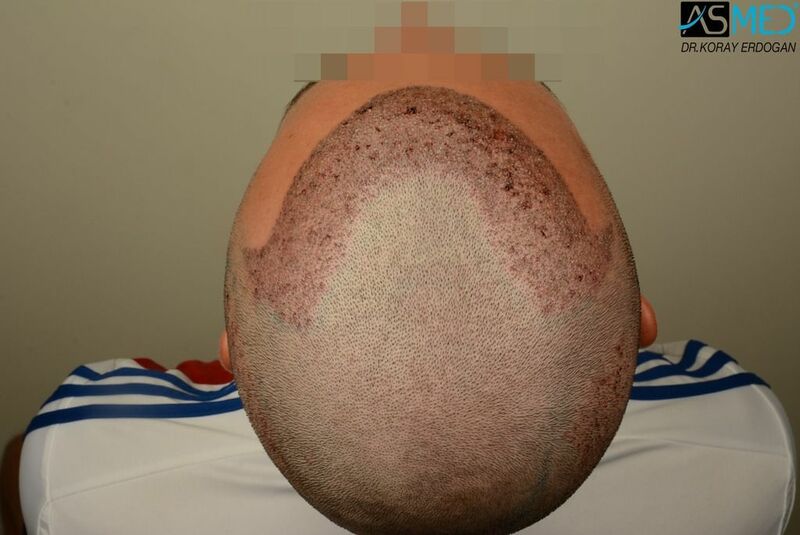 Choosing a clinic with a well known reputation for hair transplant Turkey should be preferred. 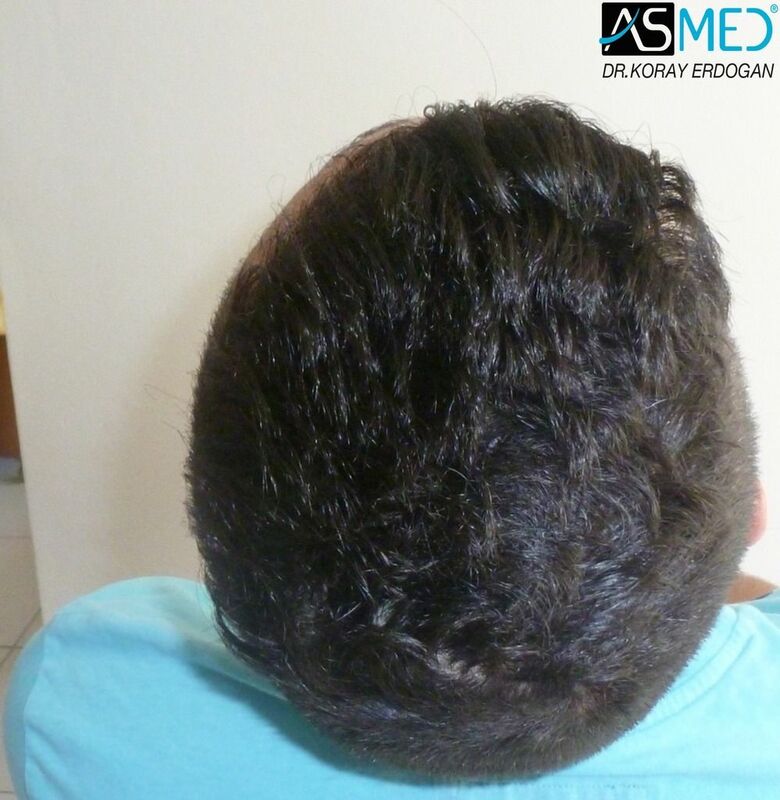 At ASMED, our doctor, Dr. Koray Erdogan has over a decade of experience with hair restoration. 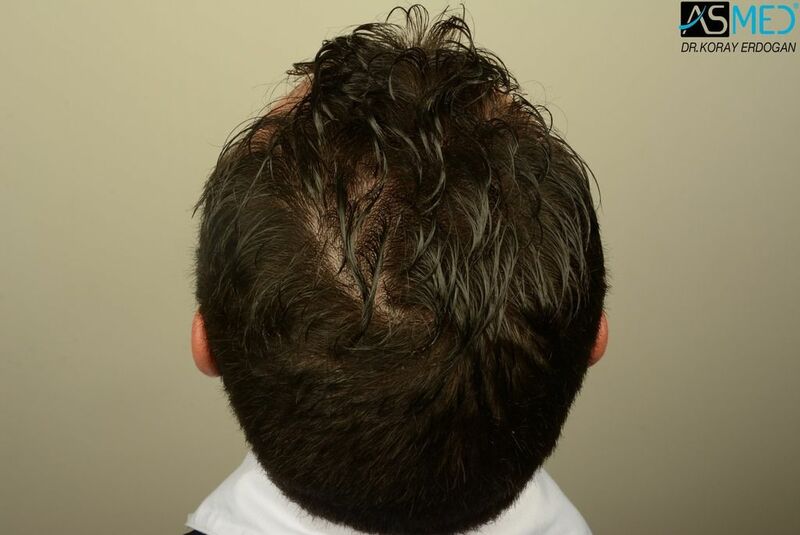 He continues to educate himself and his staff on the latest innovations in the hair restoration field. 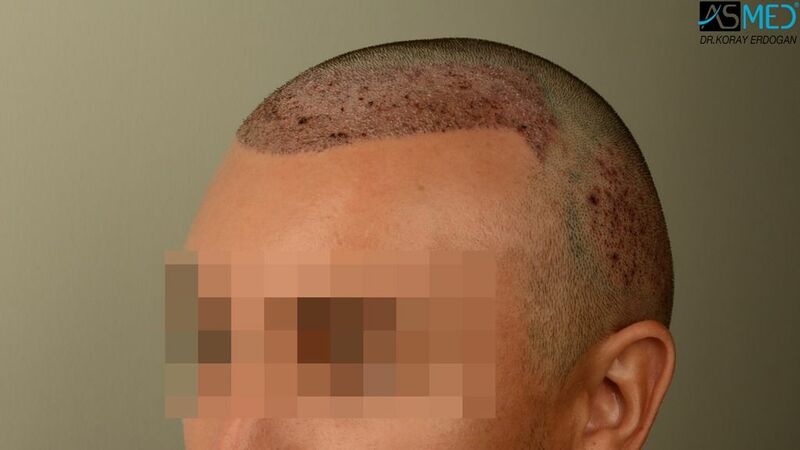 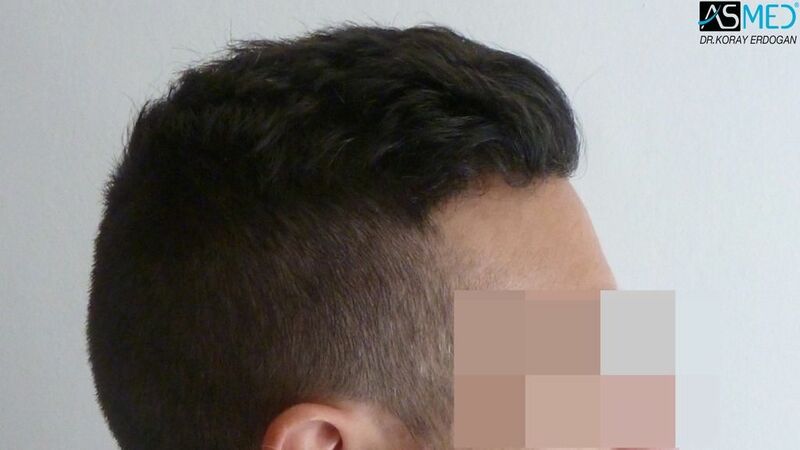 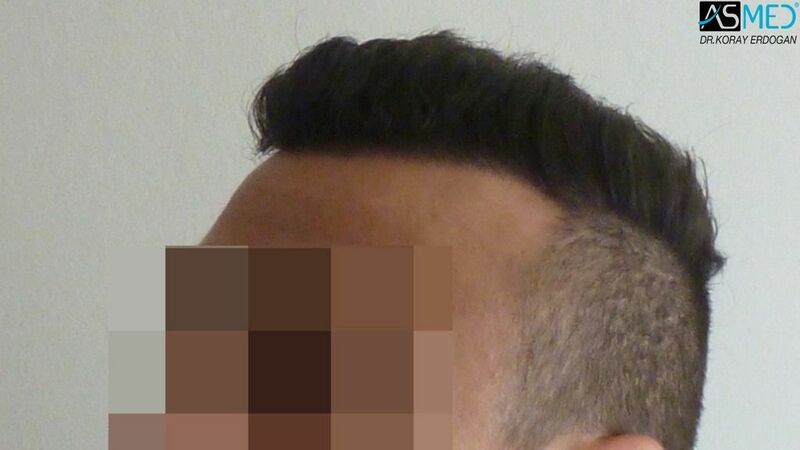 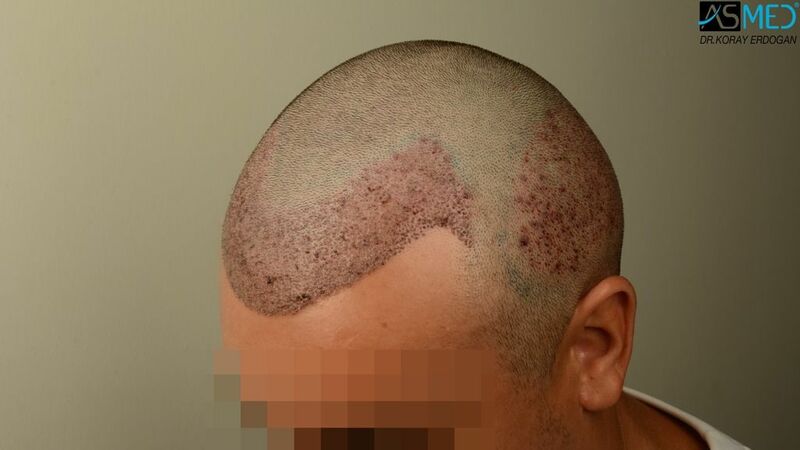 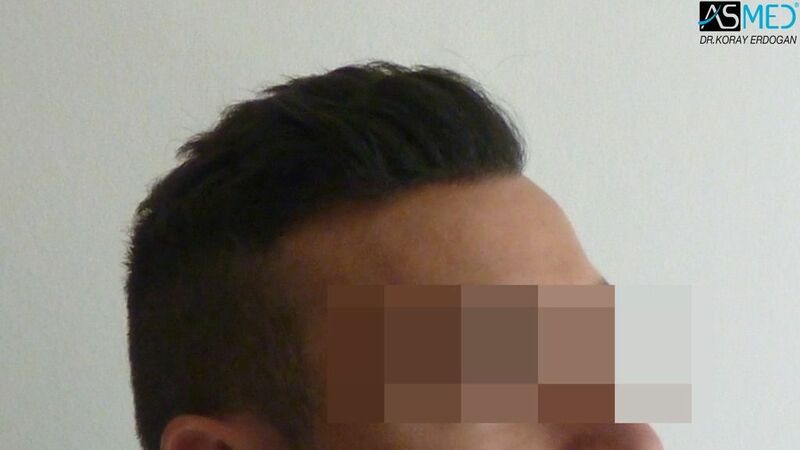 Using the manual punch during the FUE method, he has developed the D.E.S. 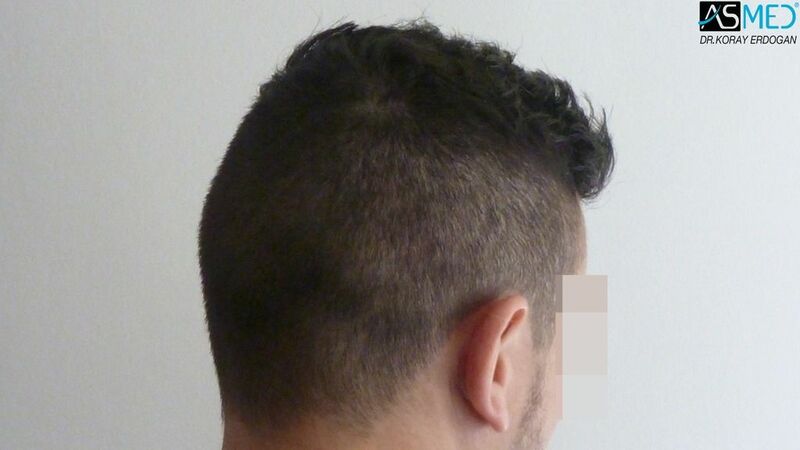 extraction technique, also known as the Sequential Method. 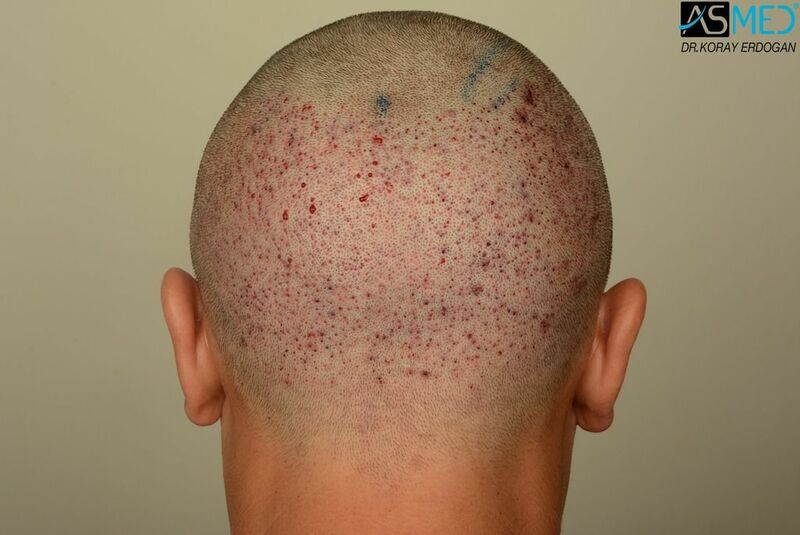 with minimal scaring, it has the ability to reach every follicle in the safe donor area with homogenization, which is crucial for a natural look in patients.